Day Two of the Festival is always exciting with some of the best Cheltenham runners in training set to take their chance in some of the biggest races of the entire season.. This looks an open renewal of the race with many horses bringing good form into the race. Those include the favourite Champ who I would be slightly worried about with the occasion as he seems a keen goer in his races and also Battleoverdoyen who looks a huge horse who could fail to handle the undulating track. My selection for this will be Klassical Dream who arrived at the Willie Mullins stable having already run five times over hurdles in France. He won a strong looking maiden hurdle at Leopardstown on his stable debut before following up over the same C&D in the Grade 1 Pharma Novice Hurdle last month. He defeated stablemate Aramon that day despite being headed after the last hurdle showing both guts as well as likely improvement for the step up in trip. At around 8/1 for the race he looks a strong each way selection. Nicky Henderson has thankfully provided a positive update on Santini this morning (Wednesday) and he looks set to run in this race. It looks a three horse race according to the betting but preference has to be for Delta Work over Santini and Topofthegame. Delta Work has previous festival form following his win in the Pertemps Handicap Hurdle last year and has proved to be up to Grade 1 level with victories in the Drinmore Chase and Neville Hotels Chase this season. He missed his engagement at the Dublin Racing Festival on account of the ground but with the recent rain it should be perfect for him and with three novice chase victories under his belt he has more experience than both of his market rivals. In a previous article I had highlighted Ballyandy for the County Hurdle given his previous form but it would now appear he is set to run here instead. He won the Champion Bumper at the course in 2016 before finishing 4th in the Supreme Novices Hurdle in 2017. Connections sent him novice chasing but have decided to return him back to hurdles which looks a good move on recent runs. He won well at Uttoxeter in January off a mark of 142 and looked the winner approaching the last at Ascot last month off a mark of 148. He weakened into 3rd late on that day but given his previous festival form, Ballyandy should be involved in the finish off the same mark. Altior has a faultless record over obstacles of 17-17 and he should be able to add to that impressive record in this race. The value could prove to be backing Min in the without Altior market though at around even money. The Willie Mullins trained horse has finished 2nd behind Altior in both the Supreme Novices Hurdle and this race last season but he looks well clear of his rivals in this race. He is two from two this season following victories in the John Durkan Chase and the Dublin Chase and he should be able to follow his old rival home once again this year. Tiger Roll has been a short priced favourite for this race since victory in the Boyne Hurdle last month but at around even money I can let him win at that price. Ballycasey would be one of the highest rated chasers running in this code and despite slight question marks about the trip he looks the each way option. He ran well over the C&D in December when 5th despite having to concede chunks of weight as it was a handicap (the festival race is a race off level weights) and it seems significant that connections brought him over to school at the course in January too. He finished lame after his run at Punchestown last time so that can be forgiven and at around 20/1 for the race, he should run well each way. Paul Nicholls has a fantastic record in this race with a 1-2 in both 2015 and 2016. Friend Or Foe ran twice in France before joining the Nicholls yard where he won at Taunton on his stable debut. Jockey Harry Cobden kept it simple that day and made all and it seems significant that connections have decided not to run him again after receiving a handicap mark of 128. He is number 37 on the list so it may be touch and go whether he gets into the race but with the NRNB offer of 7/1 available, he looks the best bet in the race for me. Colin Tizzard was quick to compare Master Debonair with his stable star Cue Card when discussing his festival team which is very interesting given he is still available at 16/1 for this race. 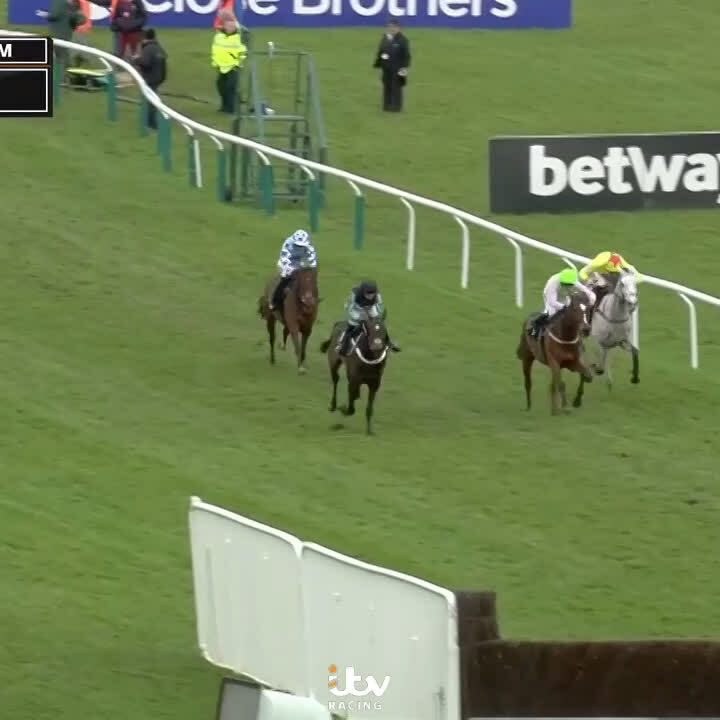 He won a bumper at Sedgefield in May before finishing a close second place under a penalty in October at Cheltenham. He then gained further course experience when winning a listed bumper at the course in November and should run well.